Build a Real Startup. Get Your Hands Dirty. Build A Startup That Travels With You. Anywhere Startup is a startup that, simply put, can be run from Anywhere. this course was designed for you. If you're ready to really get your hands dirty... and BUILD something, and you're looking for the right technology that's going to drive your life and your decisions over the next few years, kicking off your remote business, then this is the place you need to be. An Anywhere Startup can be as simple as a solopreneur with a Wordpress site or as complex as a distributed team collaborating on github on multiple continents. An Anywhere Startup is a technology mixed with a business process that allows you to operate from anywhere, seamlessly. This initial course is primarily geared towards the non-technical solopreneur who wants to get their hands dirty with technical skills and have full control over their site without having to learn how to code. However, even if you are a seasoned startup exec, you WILL get valuable information from this course and it will change the way you think about how to launch a startup. In this course, we'll build a subscription-based business. We'll walk through how you can launch a concept, quickly, yet have full control over it. And once you learn this material once, you'll be empowered to do it over and over again! Taking over 10 years of experience in the tech startup world, launching several tech startups, and years of testing into one complete course, I'll take you from idea to working product and give you actionable advice for running your startup. Starting simple, in this course, you don't need to have strong technical skills (and the beauty of having a video course is that you can watch it as many times as you need to). In later courses, we'll go through more growth hacking techniques, how to find and vet a good developer, how to build and manage a remote team, and how to scale your sales including both outbound and inbound sales and marketing - from cold calling to content marketing. This first Anywhere Startup course is designed to take you from idea to working product that allows you to pack your bags and take your startup with you. There have been several blogs, articles and books, written about some of these types of businesses, particularly surrounding blogs, content monetization, e-commerce, etc. But there's been very little about running tech startups from anywhere.... and we're going to change that. Tech startup businesses have traditionally been VC-backed and have been run from a tech hub, in an office space. The LEAN Startup movement showed us that we didn't have to spend several thousands of dollars to test a concept or raise 2 million on and idea just to launch v.1 of a product. We could instead create an MVP, minimum viable product, with simple pre-built technology, to test marketplace response prior to an actual launch. Now, how do we apply a working v.1 product to working remotely and managing a business from testing phase all the way to a remote, distributed team? And how do we go beyond a simple landing page to a real working product? We are entering the era of the ANYWHERE STARTUP. From solopreneur to distributed remote workforce, small startups and large companies can operate from anywhere. You Don't Need a Technical Co-Founder! Do it yourself. Get the skills you need and take control - before you end up with a nightmare story involving a bad developer. Stop your search and stop allowing this perceived obstacle to keep you from getting started. 2) The lowest price to have a developer build a site like what we'll walk through in this course is $1,000-$5,000. Go ahead and try it yourself. On the higher end, you'll pay tens of thousands. No joke. Stop wasting time and money. 3) This is absolutely the cheapest and fastest way to launch a product, in both the short term and the long term. You are empowering yourself to be a real startup owner who makes your own decisions and relies only on yourself to get the job done. For less than even $500 you will have a product and be empowered to build more products in future using the same method. Enroll in this course with this introductory pricing, take advantage of the awesome bonuses, and start promoting your new Anywhere Startup from anywhere you want to be. Live and Work from Anywhere -- Libby Tucker has been running startups from all over the world while traveling. In her 10+ years of tech startup experience combined with traveling, she has learned the skills to build startups, validate and test ideas, acquire customers, and learn how to be productive on the road, without skipping a beat. Libby is a solopreneur with a distributed global team in: Philippines, Central America, India, Eastern Europe, and the US. Libby was a Lead Startup Strategist for Elance-oDesk ( Upwork), helping startups build and grow their virtual teams. 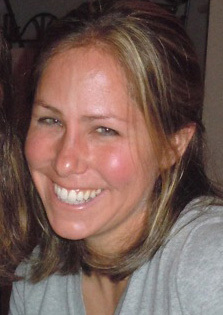 Libby has been CMO and COO of venture funded startups in Seattle and NYC - working remotely. As C-Level startup executive, Libby brings in depth and firsthand knowledge of how to create, manage, and scale a startup with a remote workforce to grow your business and live the dream on the move. Using systems and processes, Libby has been able to create and run several startups including: Beer2Buds, PromoBomb, LiveWorkAnywhere, AnyPass.co and also consults for other tech startups on strategy, growth, and hiring distributed teams. How does lifetime access sound? After enrolling, you have unlimited access to this course for as long as you like - across any and all devices you own. You will also have access to all updates, lifetime, as they are rolled out.
" This is just fricking awesome. I am on the road now and I can't believe something like this exists. The next steps after LEAN - it's a real startup, a real product. Anybody who wants to launch, build, and run, a real startup needs to take this course and follow Libby. She's not only onto something but she's also living this life!"